This is certainly a catchy tune! As the title suggests the song is all about Medina. The full name for the city is Medina-tun-nabi, meaning ‘The city of the prophet’. It is sometimes shortened to Medina meaning ‘The City’. Before the arrival of the prophet (pbuh) it was called Yathrib. In the Quran, Allah commonly refers to the city using the name Medina. There is however an instance where the word Yathrib is used, even though the passage was revealed after the Prophet entered the city. So why was the word Yathrib used? When this verse was revealed, the enemy had the city surrounded. Within the city were both Muslims and people who were Muslim by name only – they had converted to Islam but did not believe. They were the ones who said, as the verse reads: “O people of Yathrib, there is no stability for you [here], so return [home].” By using the word Yathrib they exposed who’s side they were really on. Allah captured that word and displayed it in the Quran, to show their true intentions. Medina is track number two on the album. Many have expressed their enjoyment of the song and it has received over 11 million Youtube views. I really like the part where Maher sings ‘Tala’al badru ‘alayna’, a famous song from the days of the prophet. This song was sang in order to welcome the prophet (PBUH) back to Medina, after competing in the battle of Tabuk. As he entered they played an instrument known as the Duff (similar to drums) and sang with joy. A new music video has just been released for Medina. The video depicts Medina as a place of happiness, peace and fun. The characters in this video use their imagination to turn negative situations into positive ones. Real-lift situations are not always positive, but we all wish they could be. Deep saturation is used to connote imagination, helping to emphasis warmth and love. A true vision of the city of Media at the time of the prophet. The concept of this video is unique and refreshing. Many people on Twitter were expecting footage of Medina to appear in the video, however Maher and the Awakening team have given us a twist – an innovative one. Let’s go through the lyrics to ‘Medina’. The lyrics are not deep, however I still found myself reflecting while listening. 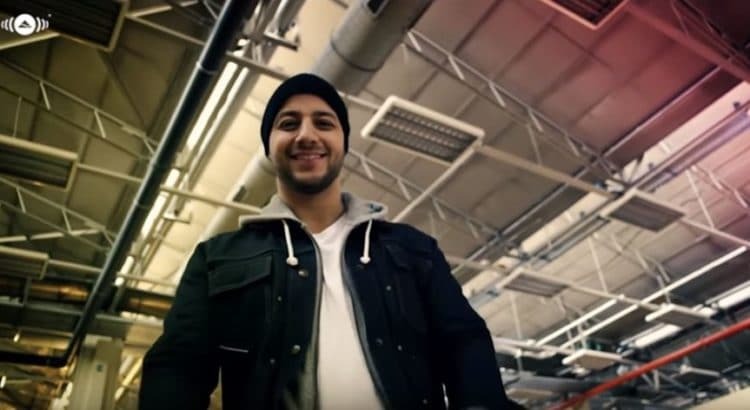 Maher Zain has produced a lively track that will stay in the minds of many, for years to come. I hope this track encourages people to visit the city of the prophet, and do further reading on Medina.